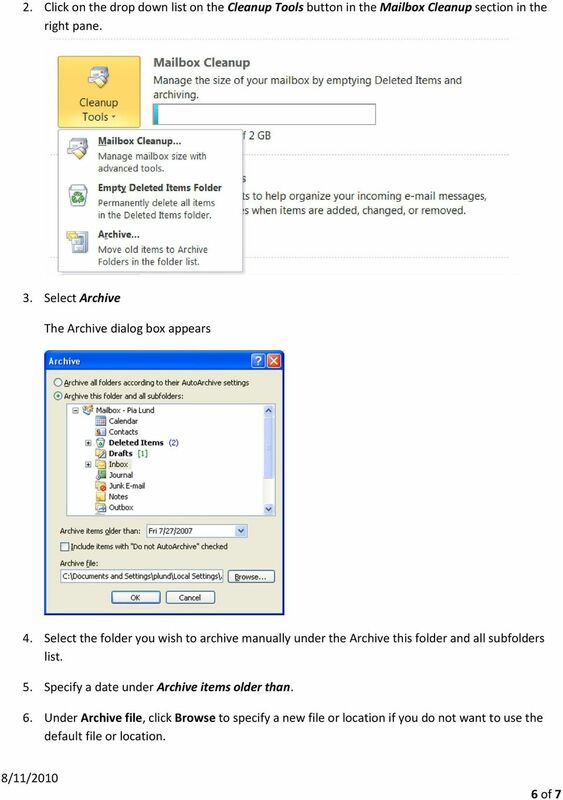 Download "Archiving Your Mail in Outlook 2010"
3 4. 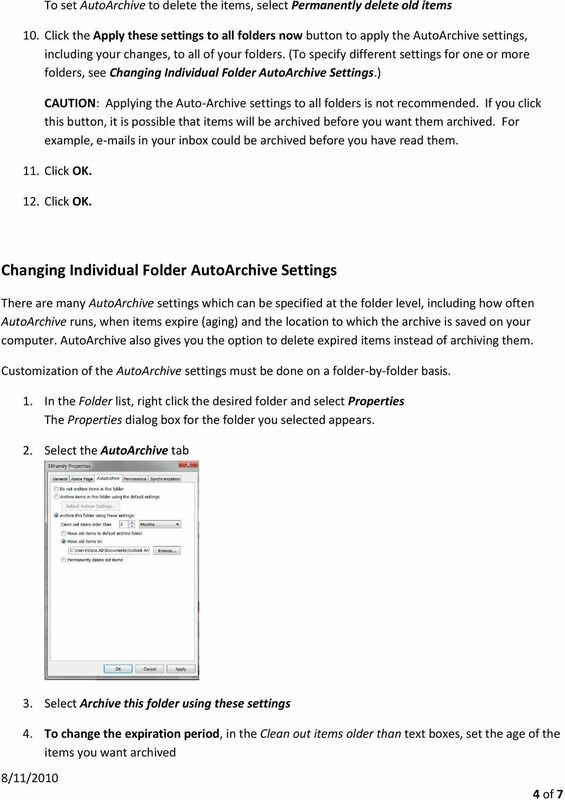 To run AutoArchive, select Run Auto Archive every n days. The option is selected if a checkmark appears before it. 5. 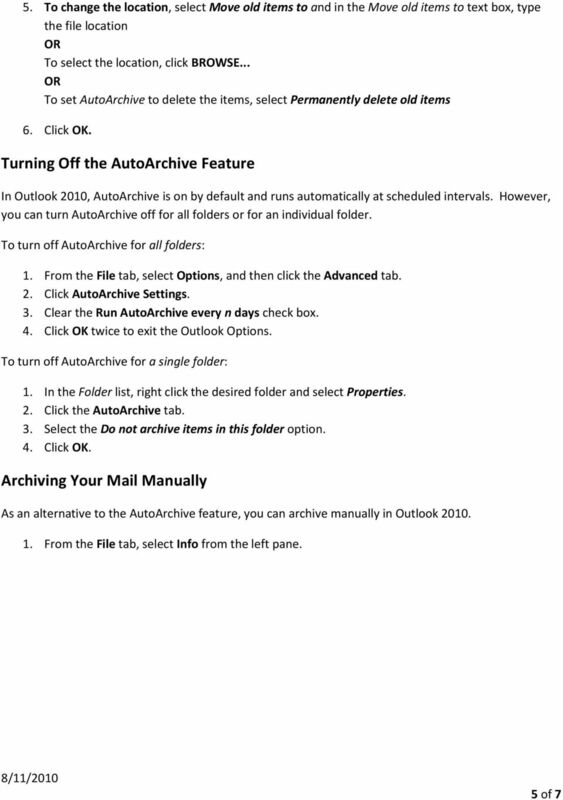 To modify how often Outlook checks for items to be archived, in the Run AutoArchive every text box, type or use the nudge buttons to indicate the appropriate number of days 6. 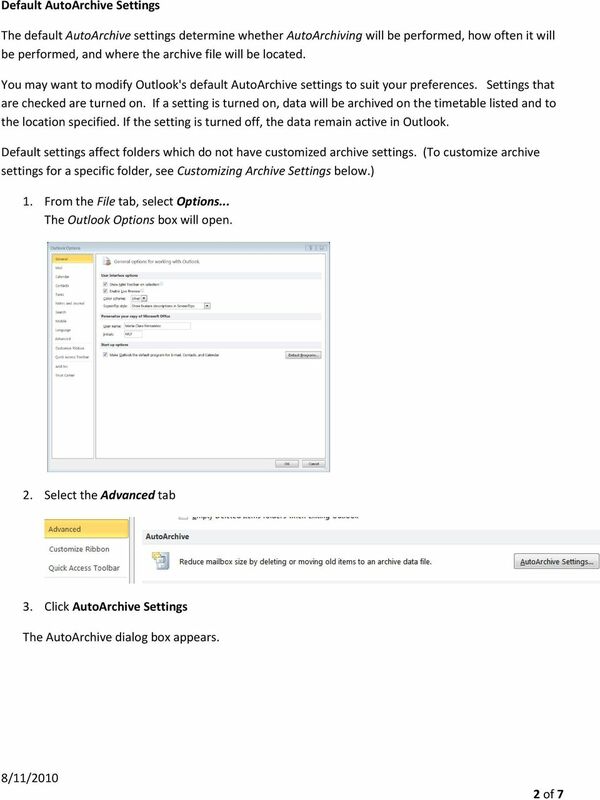 To receive a prompt before Outlook AutoArchives any items, select Prompt before AutoArchive runs. The option is selected if a checkmark appears before it. 7. 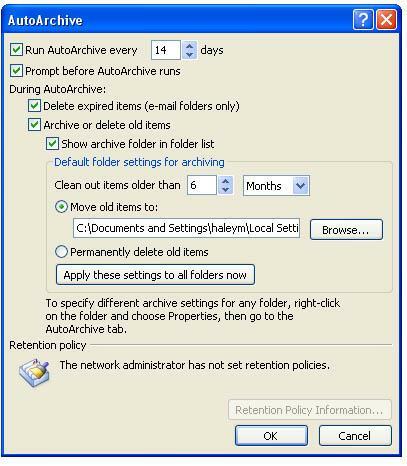 To set Outlook to delete expired items, select Delete expired items ( folders only). The option is selected if a checkmark appears before it. WARNING: The items will be permanently deleted, not archived. 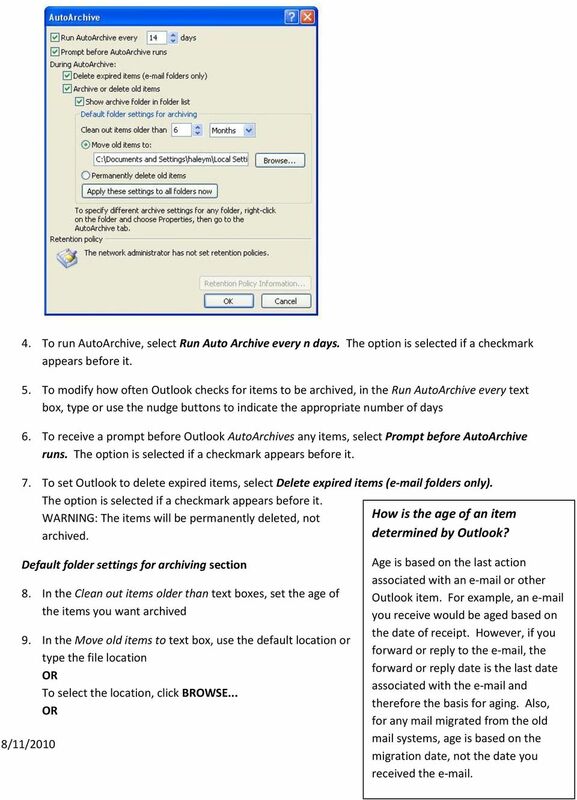 How is the age of an item determined by Outlook? 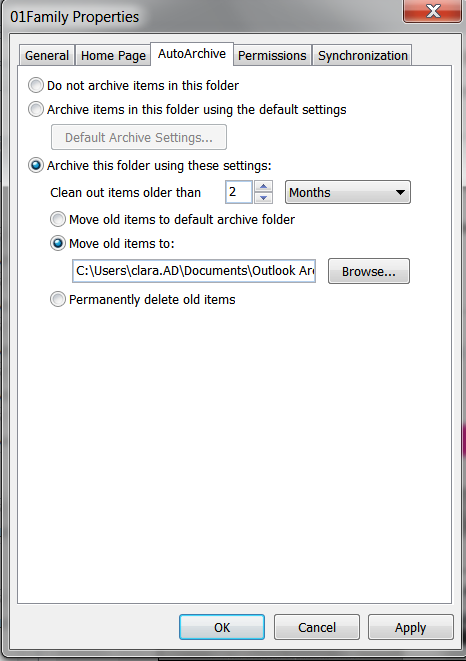 Default folder settings for archiving section 8. In the Clean out items older than text boxes, set the age of the items you want archived 9. 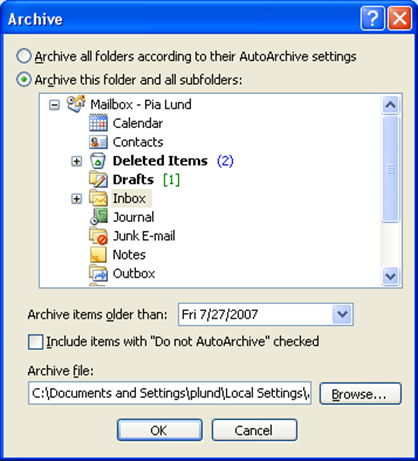 In the Move old items to text box, use the default location or type the file location To select the location, click BROWSE... Age is based on the last action associated with an or other Outlook item. For example, an you receive would be aged based on the date of receipt. However, if you forward or reply to the , the forward or reply date is the last date associated with the and therefore the basis for aging. Also, for any mail migrated from the old mail systems, age is based on the migration date, not the date 3 of you 7 received the . Email Blitz! Finding your inbox unmanageable? 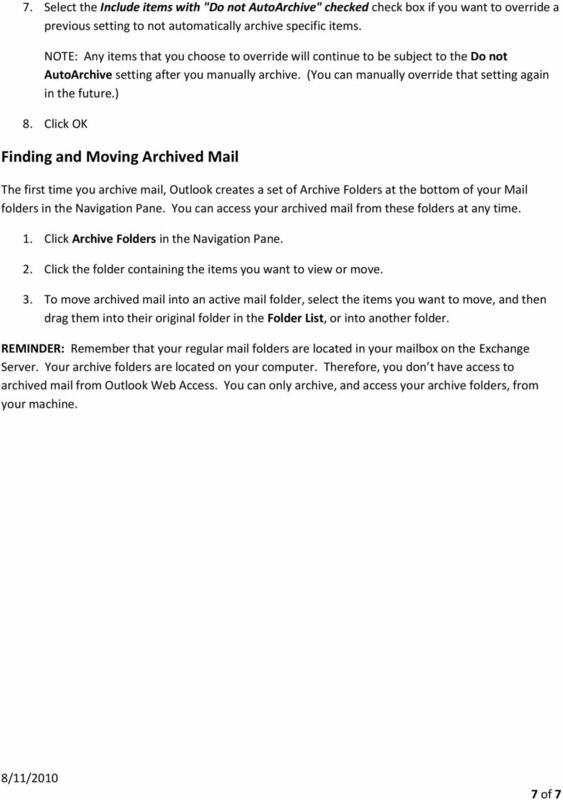 Follow the tips in this document to take back control. Refer to the Information Technology E-mail Retention Policy. GroupWise Archiving. For additional help on setting up an archive, please contact TSC Help Desk at ext. 9149. OUTLOOK 2003 COURSE LEARNING OUTCOMES Students will be able to: 1. Send, receive, and reply to mail 2. Set up tasks and priorities 3. 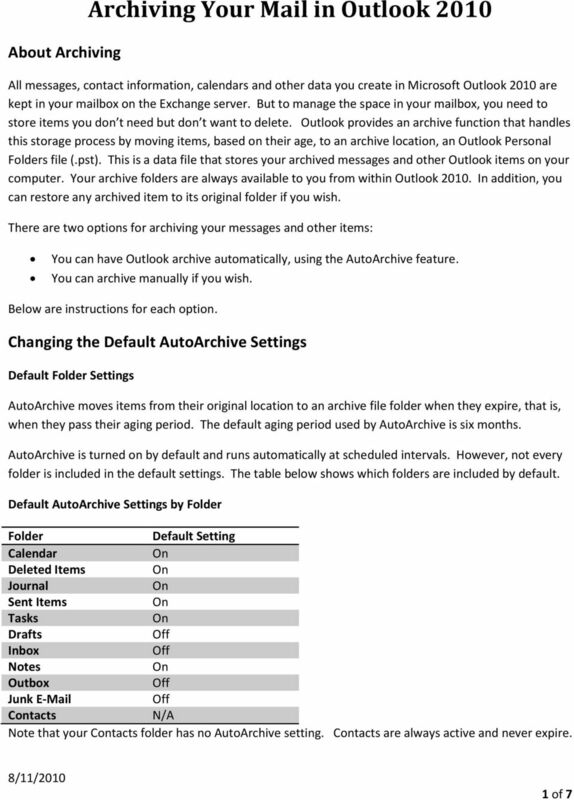 Manage files and folders 4. Use Global and Personal Address Books 5.